We’ve recently asked our power users for their most popular Spotlight Reporting features and how they utilise them to deliver maximum value. 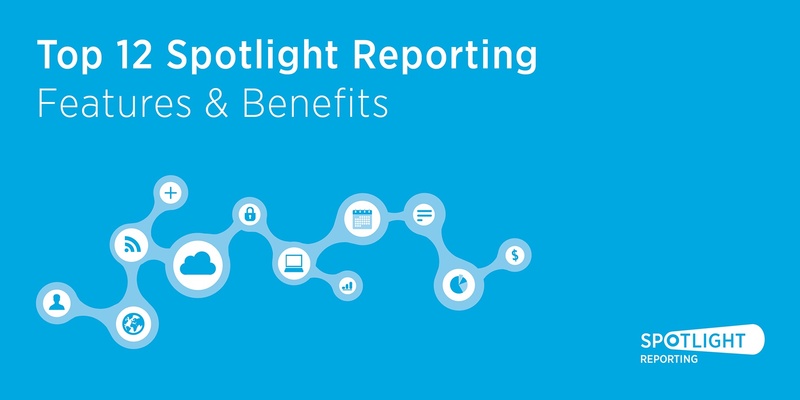 Here’s a list of the Top 12 Spotlight Reporting features and their benefits. To discover the full range of our features across our four products, you can download our A-Z of Features and Functionality one-pager. Set, monitor and achieve goals - right within Spotlight! Spotlight partners use our Action Plan page to help their clients focus on the key areas to drive their business forward. Action Plans include topics and actions outside the pure financials to keep them relevant and specific. Find out more about this feature in our release video. Use our Cash Flow Analysis page with waterfall chart to visualise cash ins & outs, and monitor liquidity. This feature allows to clearly and concisely show your clients where their cash has been received from and applied to with a very visual basic one-page chart. Find out more about this feature. Create a profit & loss, balance sheet and cash flow forecast for up to 5 years. Help your client understand their cash flow needs, plan for the future, scope projects, secure funding, and make better business decisions with a complete Cash Flow Forecast. View this case study to discover how Standard Ledger uses Spotlight cash flow forecasting to help their start-up clients understand their cash flow needs and secure funding for their business. In addition to our 100+ charts pre-built for financials, non-financials, KPIs and industry metrics, you can use formulas for bespoke charting - share and reuse them across your practice. Present information to your clients in a visual format that they can easily understand and digest. No more pages of numbers! Include a mix of financial and non-financial data to truly analyse the leading metrics / ratios for your clients. Discover why our Custom Charts are one of the most favourite features for Scott Findlay from Findlay & Co.
Track, monitor, and then present visuals to manage KPIs for better outcomes. Track the metrics that drive your client’s business and report on what matters most. Import actual and budget data from Xero, MYOB AccountRight Live & Desktop, and QuickBooks Online & Desktop with one click. Direct integrations with multiple accounting tools allow you to seamlessly and efficiently import your up-to-date client data into Spotlight. This means you can provide a valuable report and advice to your clients whether they use Xero, MYOB or QuickBooks. You can also easily engage other members of your team in the preparation of outputs for training, upskilling and efficiency purposes. Hear more about this feature from Wayne Findlay, Findlay & Co.
Work at scale by creating and saving your own templates that you can apply to other clients. We also have prebuilt templates with industry specific metrics and KPIs for Hospitality, Professional Services, Retail, Saas, and Sheep & Beef industries. You have the ability to set practice level templates giving you full control over the content and scalability of your outputs and scale seamlessly at speed. See how Nathan Maisey from Maisey Harris & Co uses templates to scale their advisory offering in this case study. Build your own reports and present with your own branding, logos and colours. Use your reports created in Spotlight as the enabler of your advisory services without sacrificing your own brand and identity. Use branded sample reports as part of your Sales & Marketing Strategies. Find out how you can apply your branding to a Spotlight report in our Help Centre. Insert custom PDF or images into the Spotlight Report for board pack reporting. Easily put together all information relevant to your clients and their business to create one complete report. Consolidate P&L and Balance Sheet for multiple entities with multi-currency and intercompany eliminations. Easily and seamlessly consolidate related entities with Spotlight Reporting or Spotlight Multi minimising the manual transposition risk and outdated reporting options. Gain hours / days back in manual preparation and produce superior reports for your clients. Explore how to empower Spotlight tools to consolidate data in our “Consolidation in the Cloud” white paper. One on one assistance for easier onboarding and maximising returns. Work with a dedicated, highly qualified Customer Success Specialist to set your own firm goals, agree on an action plan, and be held accountable to ensure you succeed in achieving your objectives. 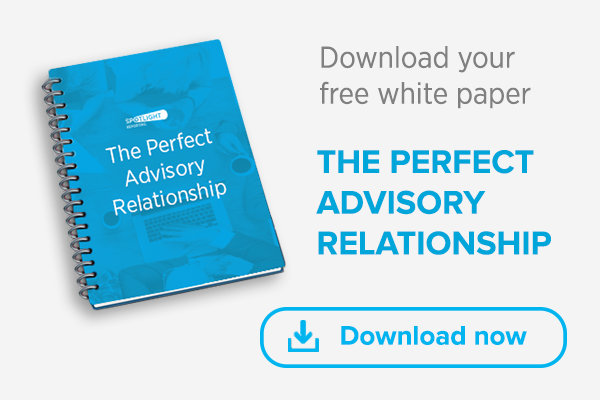 With 100’s of partners globally, learn the tips and tricks from the best firms to successfully deploy advisory services in your firm. View our case study with Sam Musgrave from PKF to discover how our CS Specialist helped them roll out Spotlight tools across their business. Best practice, with helpful tips to run the ultimate cloud advisory practice. Our Super VCFO Partners have exclusive access to our Partner Success Centre full of premium content. It houses insights from industry thought leaders, case studies, practical tips and tricks, checklists and useful tools to ensure you are fully equipped to hit the ground running. Find out more about our Partner Success Centre. I hope you enjoyed reading this blog post and found it informative. Are there any features that you haven’t used yet? There is no better time to log into Spotlight and check them out. Not a Spotlight customer? We have a free 28-day trial available for you. Start now and check these features out. What are your favourite Spotlight features? Feel free to share them using the comment box below.